Cactus Industrial is the leading specialist supplier of high-performance Surface Preparation and Composites & Coatings technology. We have over 30 years’ experience providing the most effective and innovative solutions, ensuring operations across the world are repaired and protected in the fight against corrosion, erosion and chemical attack. Our expertise delivers a lasting performance for equipment and structures in all environments – from extreme to mild, from dry to underwater, from underground to above ground. We provide solutions for abrasion resistance, chemical resistance, emergency repair, high temperature, pump efficiency, high impact resistance and more. Our technical expertise supports industry-leading organisations in the fields of Oil & Gas, Petrochemical, Marine/Shipbuilding, Infrastructure, Power Generation and Renewable Energy. We also deliver on-site demonstrations and training to ensure our clients are completely competent in using the most effective surface preparation tools and can mix and apply the highest performing composites and protective coatings for an extensive range of engineering challenges and repair situations. From full turnkey systems to simple in-situ repairs. Speak to one of our Surface Preparation, Composites and Coatings experts today. Call +44(0) 1698 591635 or complete an enquiry form. Cactus’ aim is to ensure your equipment and infrastructure is repaired and protected in the fight against erosion, corrosion and chemical attack. We bring the latest, innovative and high performance technology to clients across a diverse range of sectors and technologies. Our customer service ensures you and your team are knowledgeable and competent in the use of our Surface Preparation and Composites and Coatings solutions. From project planning, to training operators, to aftercare, our specialist service supports you every step of the way. Our mission is to bring innovative, high performance Surface Preparation and Composites and Coatings technologies to clients in every sector and deliver proven solutions for bespoke requirements. Cactus clients operate in the most extreme environments and demand immediate, effective and lasting solutions for critical equipment and structures. Cactus technologies repair and protect in the fight against erosion, corrosion and chemical attack while reducing downtime and minimising operating losses. The sole official UK & Ireland Bristle Blaster distributor. 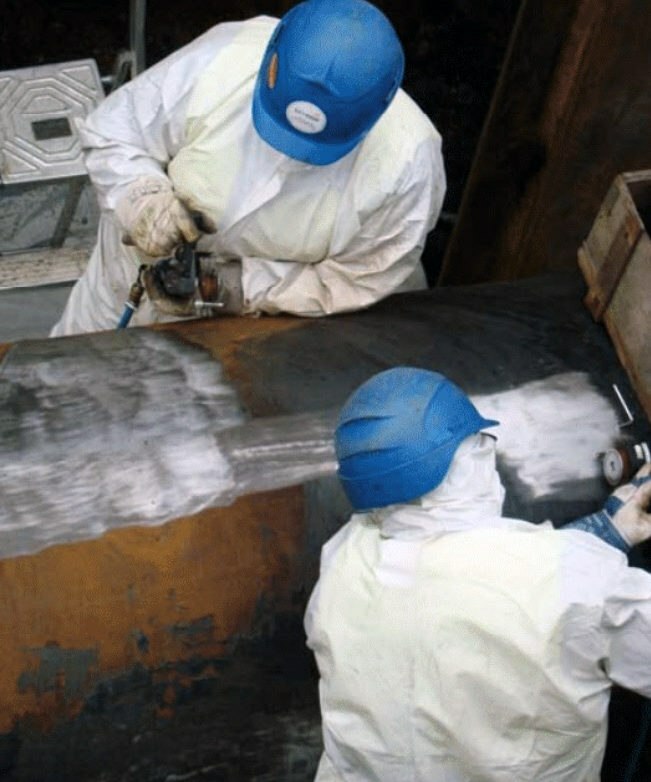 Remove corrosion and coatings easily and effectively with the world's leading hand-held surface preparation tool. The most effective repair composite materials and protective coating solutions. Technology engineered for abrasion resistance, chemical resistance, underwater applications and more. Cactus ensures clients are knowledgeable and competent in using our Surface Preparation and Composites and Coatings technology. We provide Bristle Blaster training for users and supervisors in all industry applications. There is a choice of two course types. Users are required, as a minimum, to undertake the Bristle Blaster Awareness Operator Training course. Delegates receive a practical hands on session (10 mins operation). This is guided, supervised and observed by a Cactus Industrial trainer to ensure that the operator is familiar with the correct use. The operator will be required to undertake an examination at end of training session. On completion of the course operator is issued with Bristle Blaster Awareness training certificate.